Before the war, the Polish Air Force had no Intelligence on its own. The officers whose tasks were related to it, simply received the information from the Polish Army Intelligence Section and relayed it to their own units. Upon the agreement between H.M. Government and the Polish Government signed on August 5th, 1940, the Polish Air Force was under British command, thus it depended solely on the information received from the British Air Intelligence, a part of the Air Ministry. At the time when the first Polish squadrons were formed, the British Air Intelligence consisted of 25 sections manned by about 40 officers. One third of them were retired Army officers. This small organization was commanded by a Group Captain, with assistance of his Deputy and the Directors of three departments, and its ability to collect, sort, analyze and distribute information was inadequate. 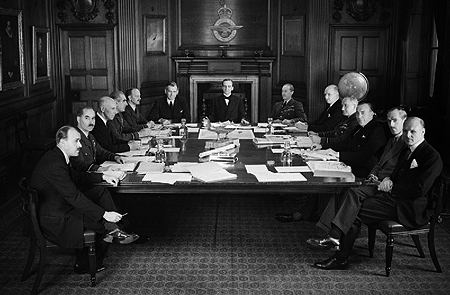 Experience gained especially during the Battle of Britain forced the Air Ministry to rapidly extend and reorganize its Air Intelligence. Operating within the structures of the R.A.F., the Polish squadrons were subordinated to decisions made by the British command, and theirs operational activities depended only on R.A.F. general strategy and tactical planning. Thus - just as in all other R.A.F. units – Intelligence Officers (I/O) were posted to Polish squadrons. Since in 1940, there was a severe shortage of qualified Polish officers proficient in English, nearly all of them were British. Responsibilities of the Polish I/O (especially during the first operational months of the Polish Air Force), were limited to collecting crew reports, details of operational flights, preparing reports, statistical charts, etc. Later, this had changed, when many Polish airmen gained necessary experience in operational units. 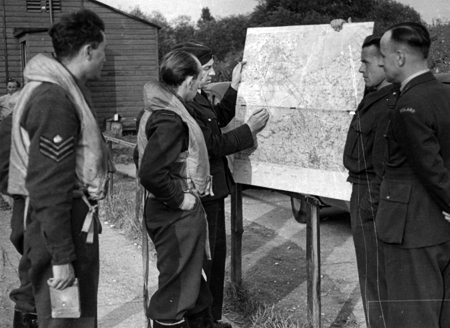 Some of them were trained for the job at the RAF Highgate, the Intelligence School established in 1942, where they attended Advanced Intelligence Courses. One of the first Poles to attend and finish such a course was F/O Wladyslaw Przymenski of No. 316 Squadron. In September 1942 he attended over 90 hours in 15 days of training, which included over 50 subjects. I/O: So, according to you, the aircraft attacked you near Hamburg as you were returning? I/O: How do you know it was a Ju. 88, couldn’t it have been an Me. 110? I/O: Couldn’t it have been a Heinkel? Pilot: No, it was Focke-Wulf, four engines, cannon in the dorsal turret, and the pilot had a gold signet-ring with a sapphire in it. I/O: (crossing out the signet-ring stuff). Very funny, aren’t you? This is not a laughing matter! How many attacks did he make? Pilot: Three, one from ahead, twice from astern, and fell into a spin during the second one. Starboard engine on fire. Something dropped off his kite, too. I/O: How many rounds did the gunners let off? Pilot: Now, how can I know? They haven’t been counted yet, and it’s still dark - might overlook one, you know. Two short squirts from the front turret and, I’d think, five long ones from the tail. I/O: So, the aircraft exploded in the air? Pilot: No, the tail gunner set fire to his starboard engine. And then he fell into a spin, right away. I/O: How many witnesses saw all this? Pilot: Tail gunner. The navigator was getting a fix for an S.O.S. I/O: How can you prove it wasn’t a Blenheim? And nobody knows whether it was certainly destroyed. Did anyone see the Jerry baling out? Pilot: No one. It was pitch-dark, night, remember. The tail gunner distinctly saw his starboard engine in flames and him turning over into a spin in the clouds below us. He didn’t attack us again. I/O: Did you see him hit the ground? Pilot: It was night. We were over clouds. 18,000 feet up we were, and over the sea—so how could he bit any ground? I/O: Well, one witness won’t do, especially at night. Pilot: Well, we’ll wait till you fish it out, and do it at night, too. Sometimes the relations between I/O and crew were not only harsh but even hostile. That is how the ace pilot of the No. 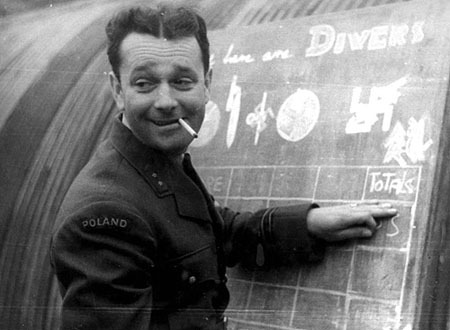 315 Squadron, Jakub Bargielowski, described his dealings with the unit’s I/O, Bronislaw Tomczyk. Naturally, those interactions could have been completely different. For example, in his book, Bernard Buchwald, pilot of the No. 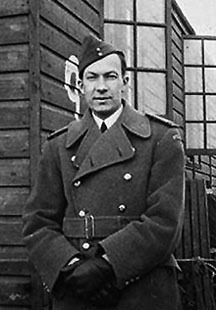 316 Squadron, describes his unit’s Intelligence Officer P/O Milne, as very popular and sympathetic person, who had done a great deal to help Poles to fit in with the local British. 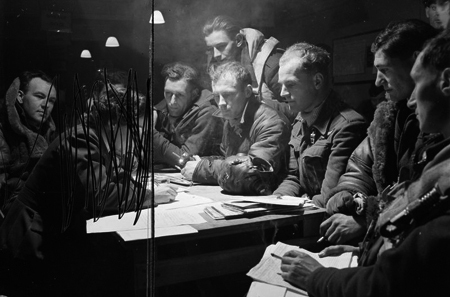 One of the RAF Northolt's Intelligence Officers, P/O E. Sienkiewicz, briefs pilots of No. 317 Squadron in August 1942. The organized Polish Air Force Air Force Intelligence Service in Great Britain was created in the first half of 1942 as a section of the Army Intelligence Department. Its activities focused on gathering information on new types of German weapons (mainly V-1, V-2), coming from sources of the Home Army in Poland. In early 1945 the General Staff of the Polish Air Force, in view of anticipated a return to the homeland, organized its own Air Intelligence Section. Few months later, the war ended, and the Poles felt a stab in the back, and found themselves on the losers side. The Intelligence Section never really passed it’s organize phases, and when in March 1946 the Polish Air Force in Great Britain were disbanded, it ceased to exist. P-0293 ARASZKIEWICZ Janusz – 318 Sqdn. Profession: pilot. Secondary education. Languages: English, French, Russian. P-1160 BROZEK Jozef – different RAF stations as a Security Officer. Profession: clerk. University education. Languages: English, German. P-1383 GIEJSZTOWT Jaroslaw – 303 Sqdn. RAF Northolt; 18 Polish Sector 2TAF; 131 Fighter Wing. Profession: soldier. Secondary education. Languages: English, Russian. P-0149 GWIZDALSKI Gustaw – 303 Sqdn. Profession: engineer. University education. Languages: English, French, German. P-1309 KALITA Stefan – 318 Sqdn. Profession: clerk. Secondary education. Languages: English, French, German, Italian. P-0814 KLECZYNSKI Stefan – 308 Sqdn; 133 Fighter Wing; 131 Fighter Wing; RAF Coltishall. Profession: clerk. University education. Languages: English, German. P-0359 KERN Tadeusz – 316 Sqdn. (September 1942 course at RAF Highgate) ? P-1072 KOPCEWICZ Eugeniusz – 307 Sqdn. Profession: clerk. University education. Languages: English, French. 02669 KURCZEWSKI M. – 309 Sqdn. (November 1943 course at RAF Highgate). ? P-0256 LASOTA-GLADZIK Pawel – 306 Sqdn; 66 TU(C); 307 Sqdn. Profession: soldier. Secondary education. Languages: English, French. P-1308 PIRSZEL Zbigniew – RAF Henlow, 306 Sqdn, 84 Group TAF,(December 1942 course at RAF Highgate) Profession: lawyer. University education. Languages: English. P-1429 PRZYMENSKI Wladyslaw – 316 Sqdn; 315 Sqdn; 133 Fighter Wing. Profession: ?. Secondary education. Languages: English. P-1375 SUSKA Jozef – SHQ Talbeny. Profession: teacher. University education. Languages: English, French, German. P-0206 SWIECHOWSKI Stanislaw – 318 Sqdn. 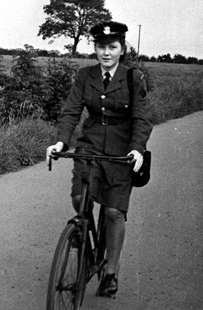 (April 1943 course at RAF Highgate), KAS in January 1945. P-2085 TOMCZYK Bronislaw – 133 Fighter Wing. Profession: lawyer. University education. Languages: English, French, German, Russian, Czech. P-6866 DORIA-DERNALOWICZ Alexandra – RAF Hemswell, RAF Faldingworth, HQ Transport Command (two courses at RAF Highgate) Profession: secretary. Secondary education. Languages: English, French, German. P-8387 JACHOWSKA Lucja – RAF Bramcote (course at RAF Highgate) Profession: clerk. Secondary education. Languages: English, French, Russian. P-6867 JACZYNOWSKA Anna – PAF Headquarters. Profession: lawyer. University education. Languages: English, French, Russian. P-8090 KALINIECKA-WLYNSKA Alicja – 300 SQdn, RAF Faldingworth. ? P-6876 ROTHERT Krystyna – ?. Profession: interpreter. University education (Oxford). Languages: English, French. Left: Gustaw Gwizdalski (photo: W. Sankowski). 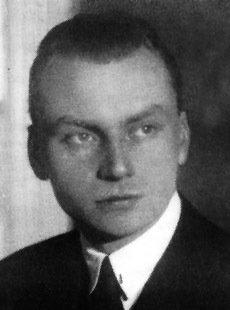 Center: Jaroslaw Giejsztoft. Right: Alicja Kaliniecka-Wlynska. - B. W. Gladman, Intelligence and Anglo-American Air Support In World War Two, Palgrave McMillan, 2009. - R.W. Mahoney, The Royal Air Force Combined Operations Doctrine and the Raid on Dieppe, 19 August 1942, University of Birmingham, 2009. - Polish squadrons ORB (Operational Record Book). - Several memoirs written by Polish Air Force veterans.